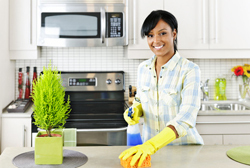 Imperial Janitorial Services in Saskatoon provides several services to make your home or business spotless and tidy. Our professional cleaners will get the gunk off your windows and walls, removing everything from dust and dirt to water spots, bird droppings, marker, and fingerprints. Using non-toxic, but effective solutions and microfiber clothes, your windows will be crystal clear and your walls will be squeaky clean. Tough to remove streaks or stains are no match for our techniques. The excitement of a newly finished construction project can be diminished by the mess left behind. Don’t let the sawdust get you down—Imperial Janitorial Services offers complete construction cleanup, including dusting, mopping, sweeping, and removal of all debris and trash. We’ll help you get on with enjoying your new space. 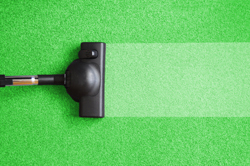 From freshening up the overall area to removing wine and grease stains, Imperial Janitorial Services shampoos, deep cleans, brushes, and brightens your carpet to make it look as good as new. We do any area from a small bedroom to a large corporate conference center. 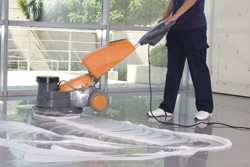 Over time, even the highest quality floors fade and retain dirt. Make any floor from a kitchen to a gym floor look new again with our stripping and waxing services. We begin by removing the old coating, buffing, and cleaning the floor surface. We then use high quality wax to restore shine and protect it from moisture damage and scratches. 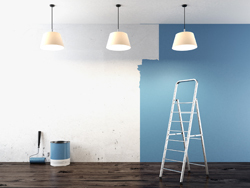 If you’ve got chipped paint, scratches, or dents in your drywall, Imperial Janitorial Services offers paint touch up and drywall repair services. 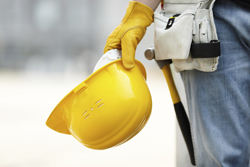 We’ll perfect your home environment or clean up unsightly areas to upkeep your business’ professional appearance. 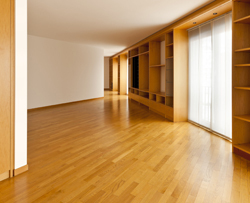 Our Saskatoon cleaners also work with hardwood floors to remove dirt and stains, and refinish them. Refresh the curtain wood stain color or choose a new one for an updated look. Imperial Janitorial Services offers general commercial and residential cleaning, including mopping, sweeping, vacuuming, restroom cleaning, sanitizing countertops, and more. With bi-weekly or one-time services available, we have options that will work for you. Industrial environments such as warehouses, factories, and storage facilities often require specialized cleaning services to remove harsh chemicals and promote a safe work environment. 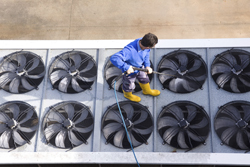 We have the products and processes in place to target specific industry needs.